It’s time to bust out the big guns! Bring the young one’s along to The Henley Brook these school holidays where every Saturday is a ‘Super Soaked’ one. Enjoy a bite to eat while the kids take aim in the ‘Soak Zone’ Playing Area. Remember to BYO weapon! 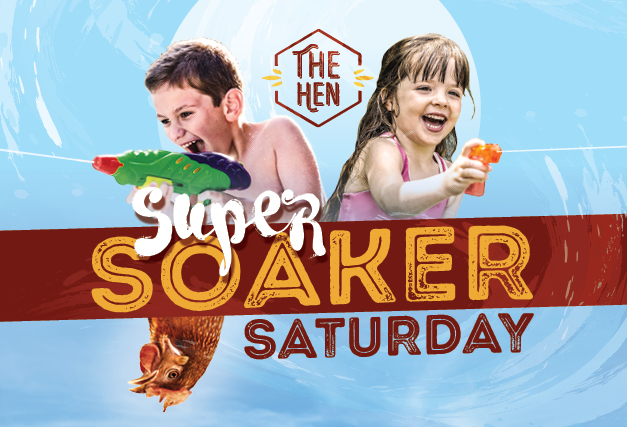 It’s the Swan Valley’s biggest water fight and it all gets underway on Saturday 1st December 2018, through until Saturday 2nd February 2019 at The Hen!